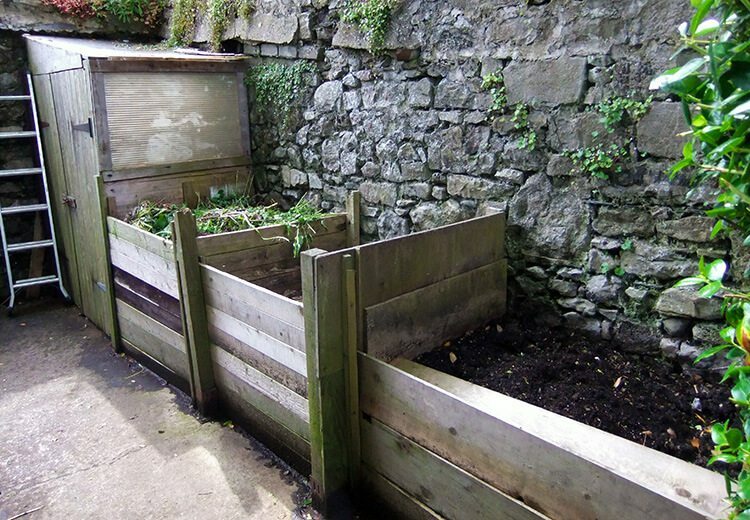 Touring a local allotment garden site and visiting the Hidden Gardens of Castletown event. Video of the hidden gardens at the end. 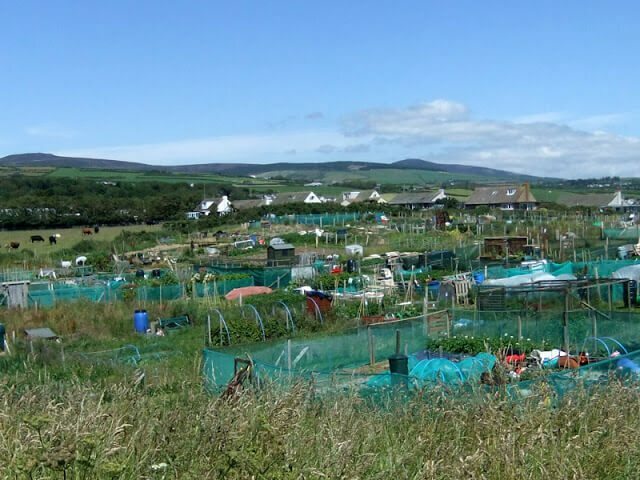 There are nine allotments on the Isle of Man and it’s my goal to visit all of them eventually. 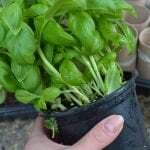 Not only is it fun to check out what everyone is growing but it’s a great opportunity to see local gardening techniques and gather new ideas. So when I was recently invited to visit the Port St Mary Allotment by a member of their committee, I jumped at the chance. On the day of our visit, Anthony Murphy picked my husband and me up and gave us a personal tour of their lovely site. With green rolling hills as a backdrop and distant views of the sea to the front, I’m sure that everyone who gardens there has only to look up from their labours to be instantly inspired. Port St Mary is a slightly larger allotment than ours in Laxey and by the look of many of its plots it seems to have been around for a few more years than us as well. 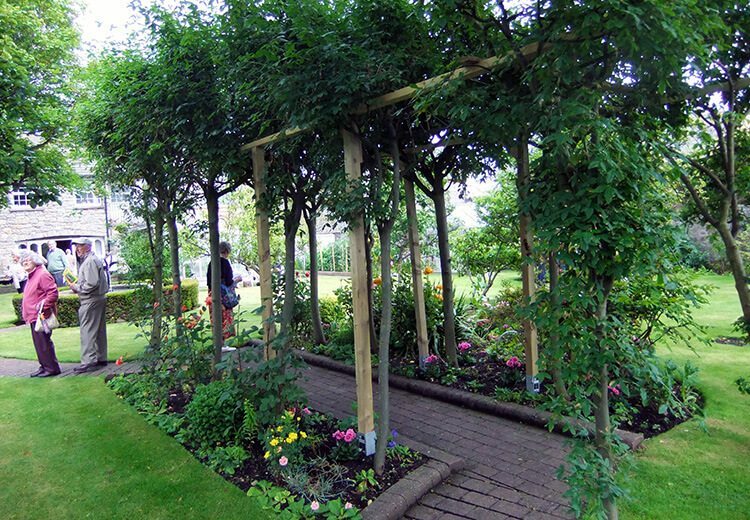 Neat grass paths and vegetable beds are interspersed with garden furniture, fruit cages and compost piles. Steel cisterns are set regularly around the borders of the site and provide a steady yet controlled source of water. It was also interesting to see how different personalities manifest themselves into growing spaces. While one plot might have ordered rows and strict planting schedules, another might have a more random planting but be just as lush and bountiful. There were some quite interesting and novel uses of scrap materials to be seen as well. 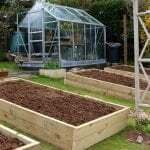 I was particularly interested in the use of roofing tiles as a path surface and wooden pallets being used as a compost pile – a couple of stray strawberry plants popping out of the bottom inspired me to plan a similar structure and planting it up completely with strawberries. 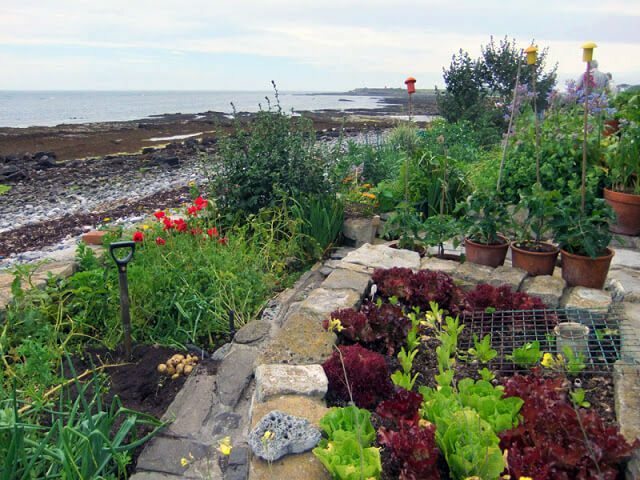 But not everyone who grows their own is an allotmenteer and another opportunity to check out the work of other local green thumbs arose with the ‘Hidden Gardens of Castletown’ event. I’ve been very curious about how gardeners cope with the wind that seems to always be whipping through the south part of the island and this seemed the perfect opportunity to find out. Touring with a friend, we started the day at the harbour and walked our way around to both private homes and public sites set around the town. Peeping into both the most bijoux and grand of spaces, some of the prettiest and productive gardens were to be found. One listed on the map as Bagnio House on Arbory Street had a humble entrance through a garage. Then it was into a walled garden peppered with beautiful trees, ornamental flowers and low box hedging surrounding soft fruit beds. 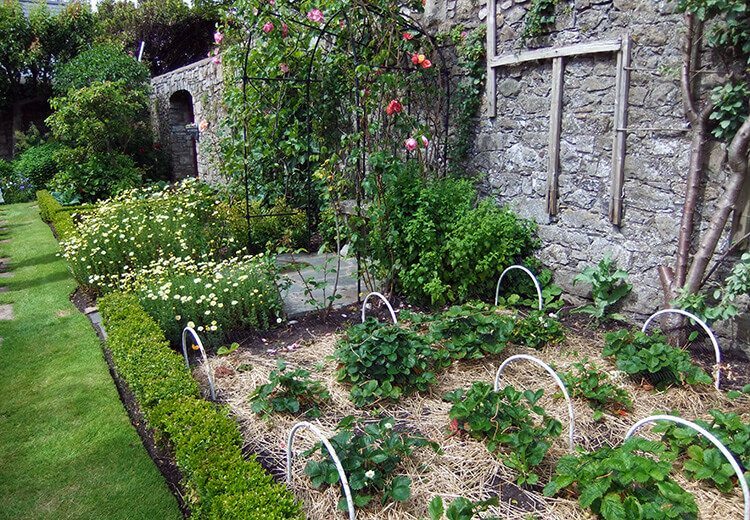 The warm stone walls not only serve as a foundation to grow rambling roses and trees against but also effectively breaks the wind – no doubt creating a small micro-climate. 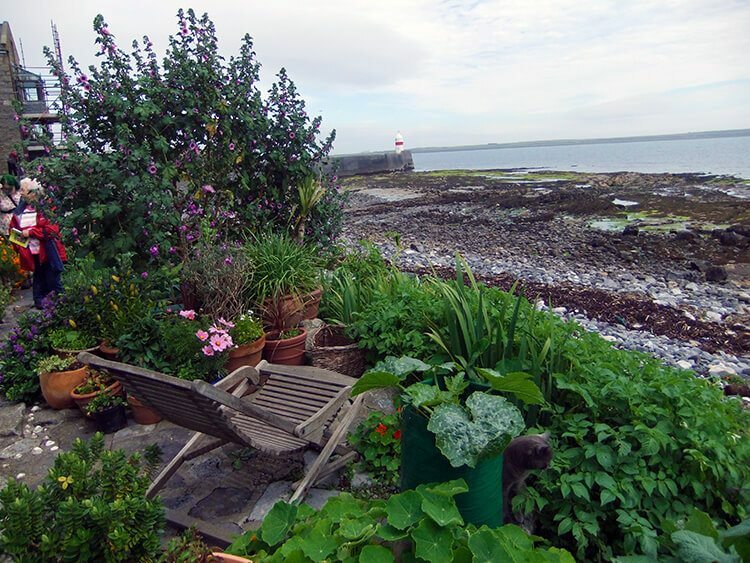 But my favourite garden, hands down, was the ‘Back of 11-17 Queen Street’ which runs along the beach. 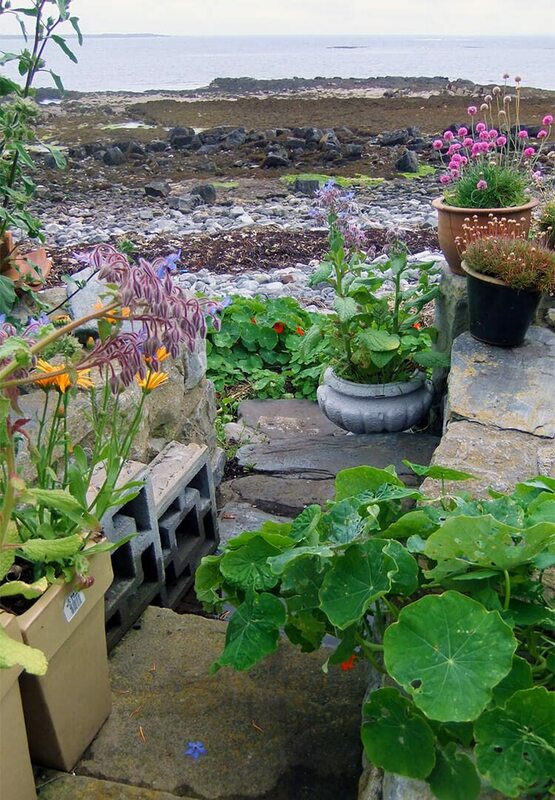 Not a metre away from the high tide line, Phil and Helen Lesley and their neighbours have carted in bags of compost to create a charming stretch of garden sandwiched tightly between their homes and the sea. In a hostile environment of salty water and sometimes gale-force winds, tender lettuces grow alongside broad beans and potatoes and manx cats warm themselves on sun-warmed flagstones. It’s surreal to think that not long ago a severe storm completely destroyed this garden and it had to be rebuilt from scratch. How heartbreaking that must have been to walk out the morning after to see your garden completely destroyed and swallowed up by the waves. 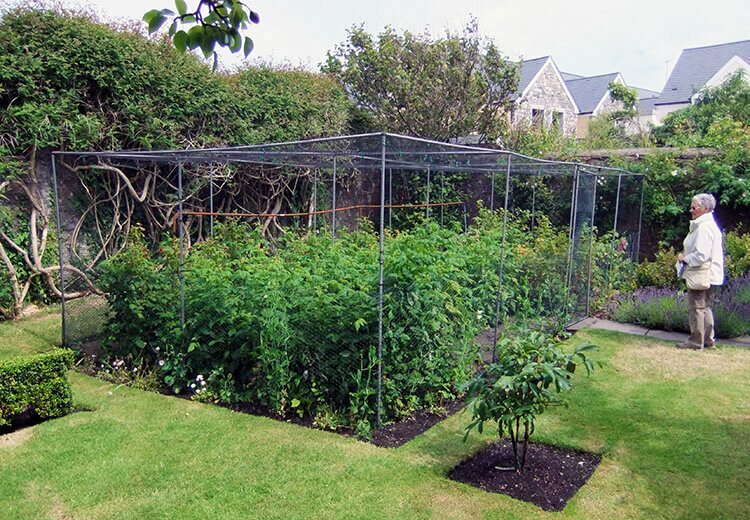 In the middle of the growing season, weeding and harvesting keep the average gardener busy and holidays might also cut back on time dedicated to cultivating veg. 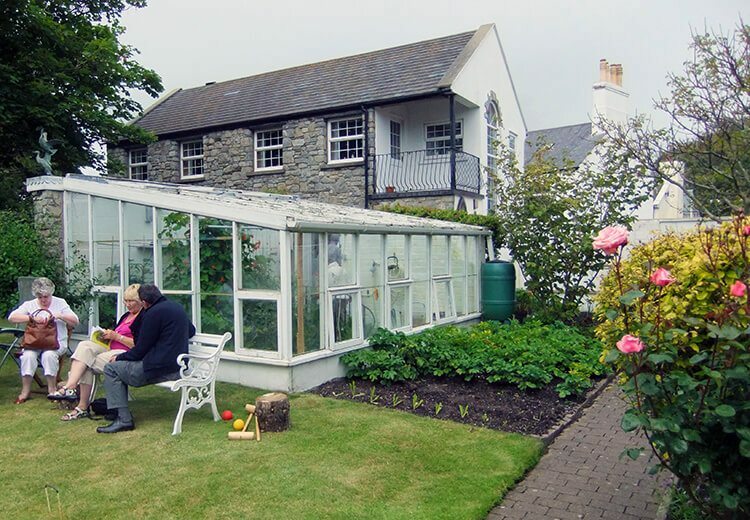 So while it might not be on the agenda to spend time pottering around in someone else’s garden, I can attest that getting yourself ‘out of your own backyard’ can be really inspiring and might even give you some good ideas to take home. 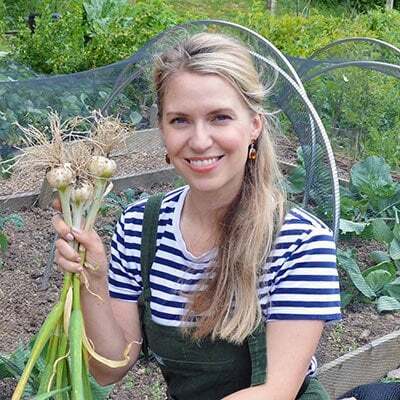 If you’re like me and you feel a bit disappointed with how your garden is going this year, it’s encouraging to know that there are others out there working successfully with more challenging factors than a bit of mucky weather. You never know for sure what the harvest will bring so when you’re rewarded with late season peas rather than sweet corn, make sure to count your luck and savour every last bit of Mother Nature’s unexpected bounty. Just stumbled on this lovely blog. I'm a novice gardener but the pleasure of growing enough vegetables to supply my kitchen and share with family has been great. Those gardens look great and gave me craving spring even more! Lve touring other gardens, inspiring for my own little one! I love garden tours and always jump at the opportunity to peak into others gardens like you. That beach side garden is a treat and while disheartening to see it washed away it always makes room for more neat ideas. Neat on the pallet compost bin. When living in Germany, we were involved with a Gardenplatz. I do believe these gardens are the same as those. I find it interesting how they reuse and recycle in the garden where you live. 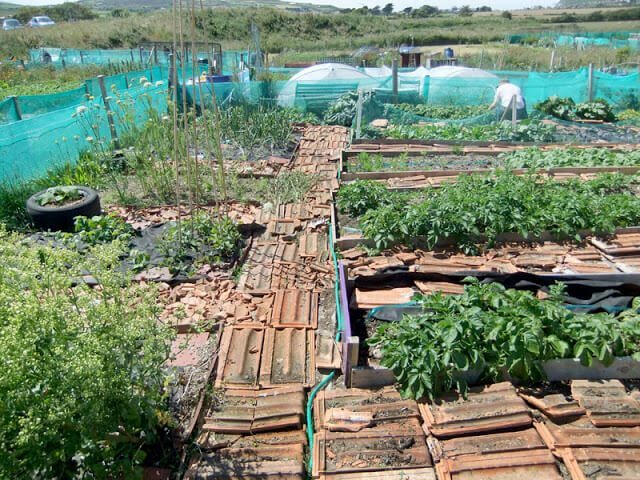 The wind and salt would be a challenge but once you learn the tricks, I am sure a thriving garden will be rewarding…. Very interesting post. And such interesting photos. A great source of ideas.